David Usher in Montreal or Quebec City? Inform me about the next events for David Usher. Enroll yourself to our priority waiting list for David Usher to be alerted when new tickets are available. Filling this form doesn't engage you to any purchase. 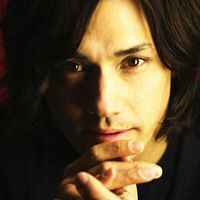 David Usher will be performing in his hometown of Montreal on May 7th, 2011, at Le Monument National. David Usher recently released Mile End Sessions, a collection of acoustic performances of his many hits. That new album also featured his French duet with Marie-Mai, entitled Je Repars (a French re-write of his previous hit single I'm Coming Down).